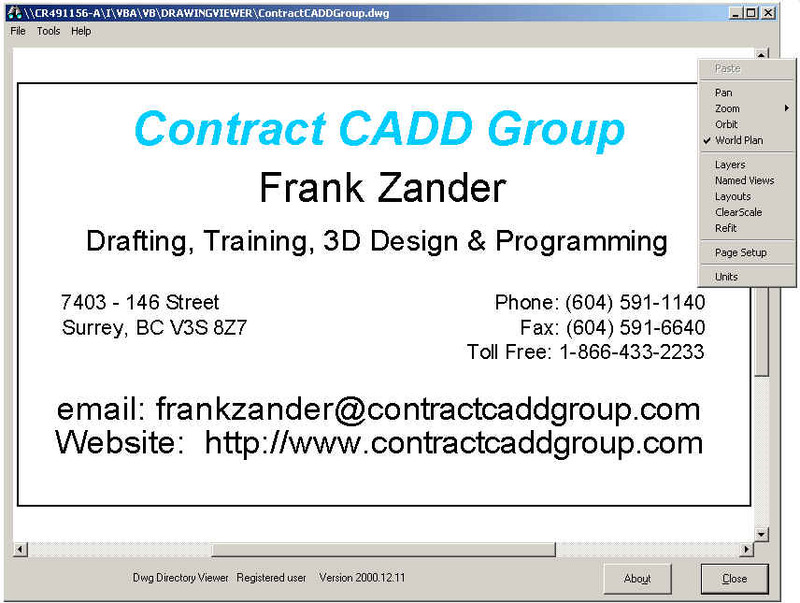 Looking for CADD expertise? 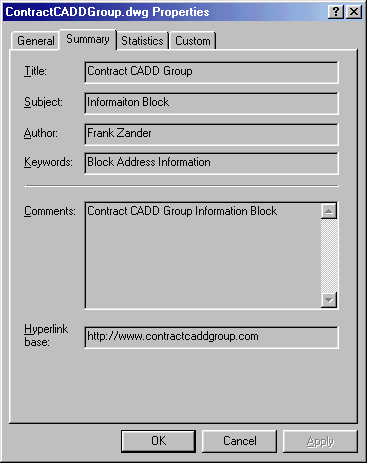 Think Contract CADD Group! Looking for Web Solutions? Think CORBIMITE! 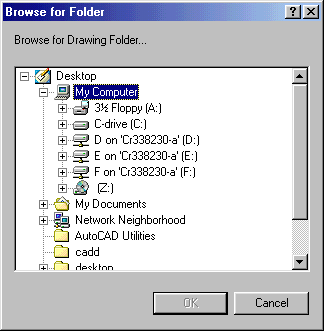 View up to 16 AutoCAD drawings on one sheet. 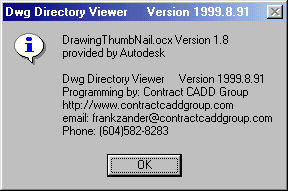 View an unlimited amount of drawings in any directory. Large zoom view of selected drawing. 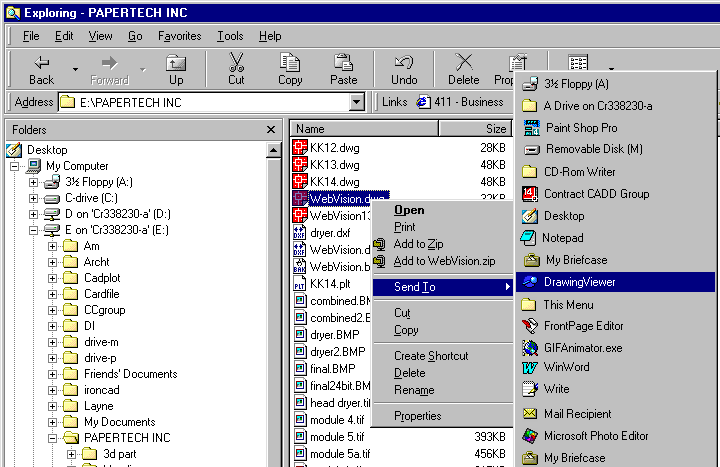 Switch directories and drives to view AutoCAD r13, r14 or 2000 drawings. View AutoCAD r13, r14 and 2000 DWG files.